Christmas was so much fun this year. It is always super sweet, but having two, two-year old little boys really made it super great! I actually started getting in the Christmas Spirit really early this year. In fact, I wanted to put the trees up in October, but Jay asked that I wait until after Halloween! So, I put it up on November 1st.. They day after! Ha! The lights, the trees, the mantle decor, the stockings and the wreath all went up before Thanksgiving this year. I do love fall so much and I wasn't trying to wish it away, but there is something about getting in the Christmas spirit. 2. Evidently a snowman closely resembles and can easily be mistaken for a ghost by two-year olds. Every snowman was called "aah-boo" the entire Christmas season. Oh well, they'll get it next year! Other than those two minor things, I really can't find any negative to getting in the Christmas Spirit super early this year! 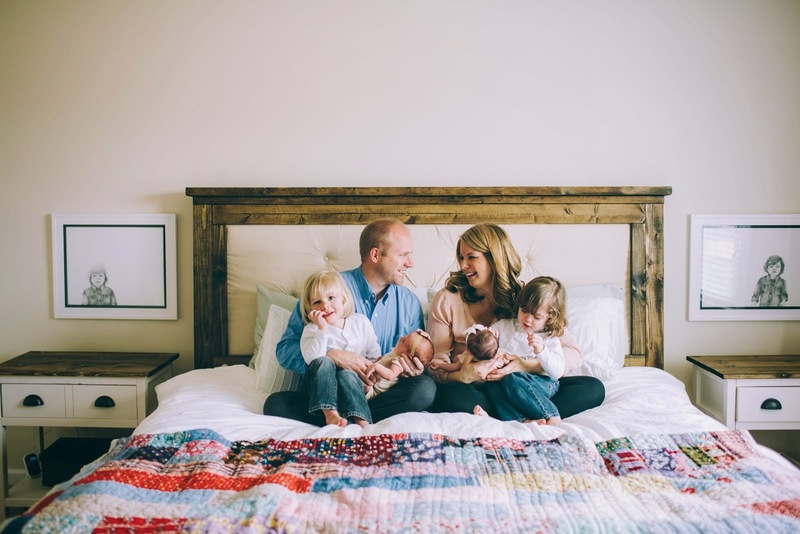 The experience of Christmas is so magical with little ones. This year the boys were really excited about the Nativity scene and being about to point out the camels, angels and, of course, the "baby" Jesus. The Nativity was handmade by my grandmother years ago and passed along to me this year. We did play around with Elf on the Shelf a little this year. The boys lovingly named "HoHo". They were fascinated with "HoHo" and his antics. The boys were NOT impressed with Santa this year. They loved the "idea" of Santa and seeing him in photos or on TV, but being up close and personal was an entirely different story! I had planned to take them a couple of times to see him. 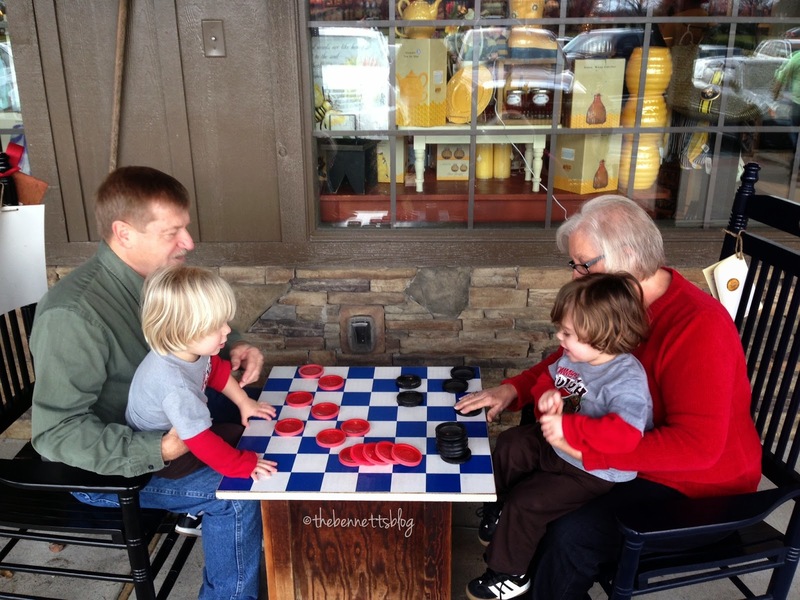 The first time was going to be while MawMaw and PawPaw were here and just so the boys could "meet" him. My thought was that they would love him and then take them back and try to get pictures worthy of a Christmas card. After the first visit with Santa, I pretty much abandoned my plan of going back for another trip. I'm not sure who was more traumatized, the boys or Santa! Don't let their reaction to meeting Santa fool you! They were not afraid one bit when we told them that Santa would be coming to visit on Christmas Eve and bringing toys! 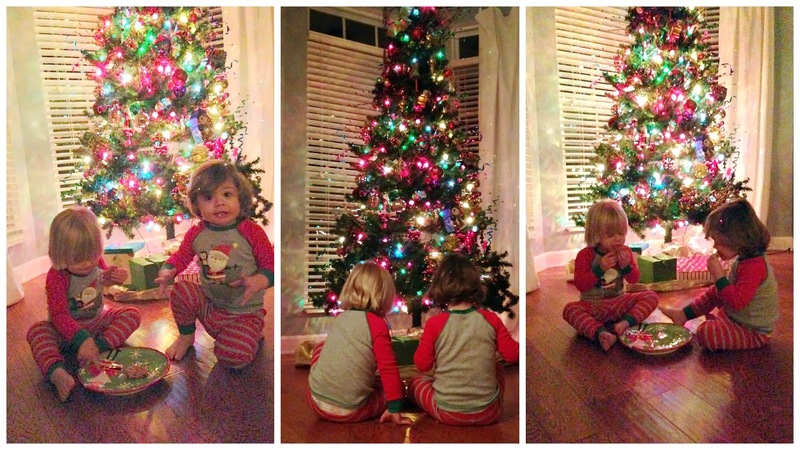 Goal: Picture of boys in front of Christmas Tree in their Christmas PJs. Reality: Neither will sit still or look at the camera at the same time. Fix: Give them a plate of Christmas Cookies, then realize they still aren't looking at you. Turn them towards the tree, let them eat cookies with their back to you and "ta-da" you have a semi-cute Christmas Pic. A few days before Christmas, MawMaw and PawPaw came for a visit. Opening presents from MawMaw and PawPaw must have been exhausting! Parker fell asleep on the floor, under the coffee table, and Hayes crashed in Daddy's arms. 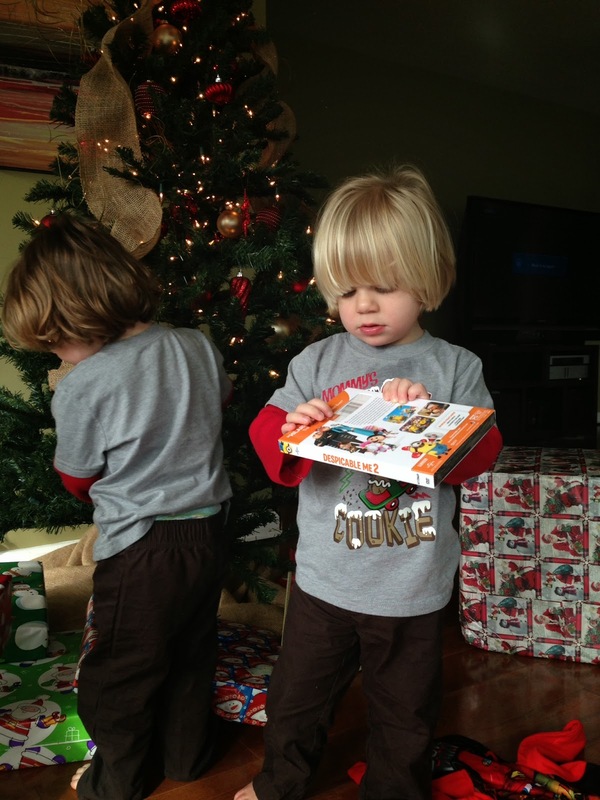 Here they are on Christmas morning posing for a quick picture before seeing what Santa brought.